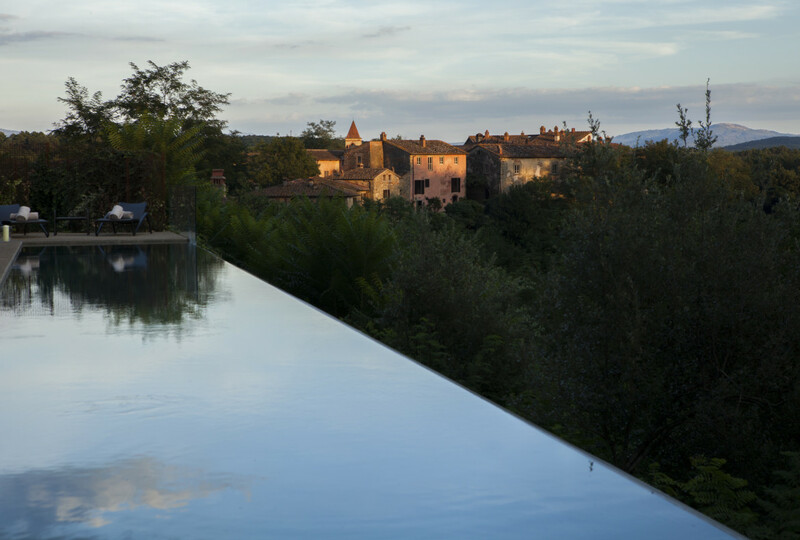 Once an ancient village, Il Borro has been transformed into a luxurious retreat surrounded by the closest thing to wilderness you can find anywhere in Tuscany. It’s a seductive combination. And the pride of Ferruccio Ferragamo, son of the legendary shoemaker, Salvatore Ferragamo. Ferruccio Ferragamo discovered the tiny hamlet in ruins way back in 1985 and never thought he would buy it eight years later. Il Borro, which means ‘gorge’ in Tuscan dialect, sits on a wooded bluff and dates back to the 12th century when it was a fortified castle at the crossroads of centuries of territorial conflicts. 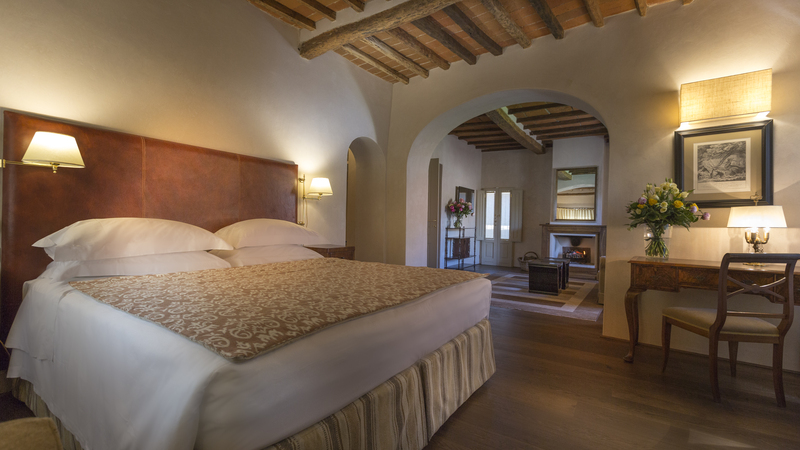 Today the hotel offers accommodation including luxury villas and deluxe suites. The main villa was nearly destroyed during World War II and has been rebuilt to feature elegant classic suites, private entertainment areas and even an indoor swimming pool. Down the hill the tiny medieval village has charming suites and tiny apartments. They are surrounded by quaint craft shops on a vast estate that stretches for 700 hectares (or 1,730 acres). “When we arrived the main villa had been occupied by the Germans and blown up,” says Salvatore Ferragamo, son of Ferruccio. “The whole estate was very run down. The hotel offers plenty of activities for equestrians and athletes. Lazy guests can simply relax by the infinity pool or indulge in a massage at the spa. Executive chef Andrea Campani prepares contemporary dishes according to traditional Tuscan recipes in the resort’s osteria while oenologist Stefano Chioccioli is transforming an already top vineyard into a totally organic operation producing fine wine sold around the world.